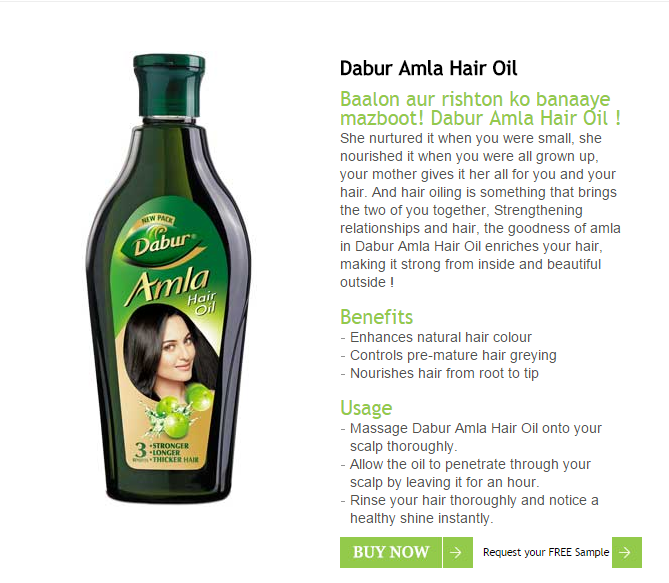 Dabur Amla Hair oil is one of the widely used Amla hair oils in India. Now you can get a free sample of Dabur Amla oil for you to try. Massage Dabur Amla oil on your scalp thoroughly at least one hour before rinsing your hair to get desired results. How to get Dabur Amla Oil Free Sample? 1. Visit the free sample page here. 2. Click on "Request your free sample" button. 3. Register if you are a new user. Login if you are an existing user. Register with your name, email id, address, date of birth, mobile number. What Dabur claims about it Dabur Amla Oil? It enhances the natural hair color. It controls the premature hair greying problem. We cannot guarantee that you will receive the sample for sure. We believe that there is no harm in trying, though.